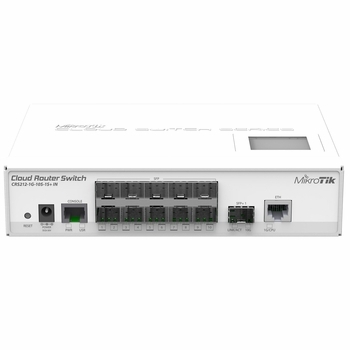 Cloud Router Switch 212-1G-10S-1S+IN is the new “small size low cost” member of MikroTik's CRS series. It comes with one Gigabit Ethernet RJ45 port, ten SFP cages and one 10G SFP+ cage, LCD panel and serial port (RJ45). Product includes indoor desktop case and power supply. Special ears are provided for rack-mounting the unit. 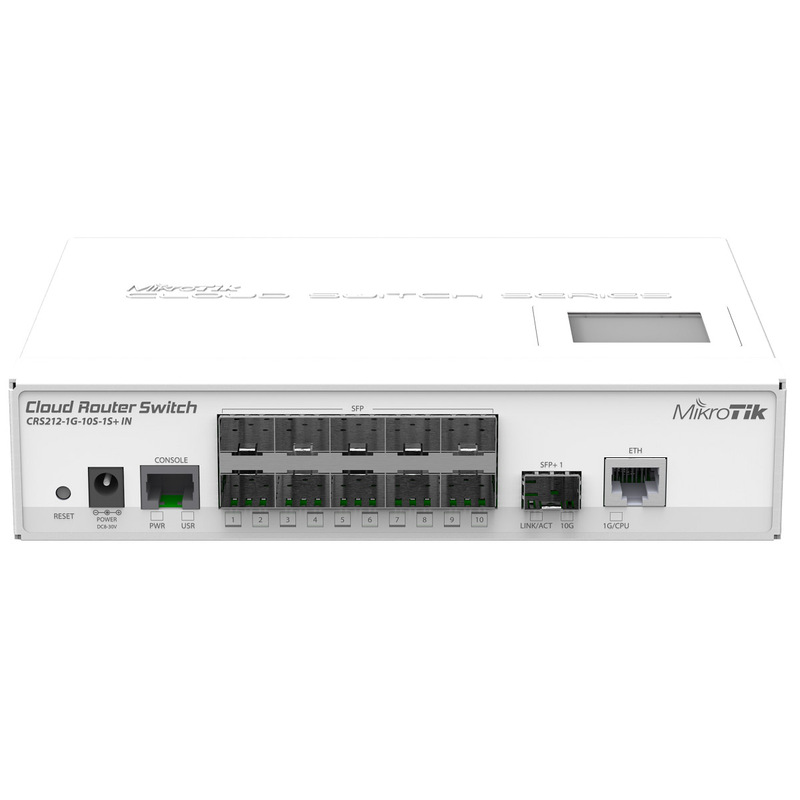 The CRS series combines the best features of a fully functional router and a Layer 3 switch, is powered by the familiar RouterOS. All the specific switch configuration options are available in a special switch menu, but if you want, ports can be removed from the switch configuration, and used for routing purposes.